On March 21, 2014, this Opinion piece was printed in The Boston Globe. Here’s the kicker: it’s an opinion piece of someone who chose to be anonymous. So, I would like to refute points by pulling quotes. Note that I have inserted these quotes. They are not from the anonymous author of this article. You can read the original here. 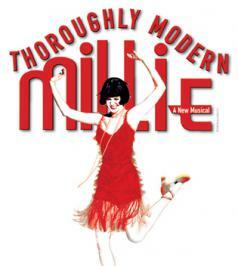 Having recently seen “Millie’’ in a different production at a Greater Boston high school where my daughter was in the cast, I must say that it’s hard to detect nuanced stereotype-busting in the show. MANY AMERICAN musicals are immortal pieces of the nation’s artistic heritage. Others are time capsules that capture the prejudices of an earlier era — but can still be used as educational material. Newton North High School’s production of “Thoroughly Modern Millie” sparked controversy this week, as some members of Newton’s Asian-American community objected to the play’s stereotyping of Chinese culture in the 1920s. The musical, though first staged on Broadway just 12 years ago, was based on a 1967 movie, and it shows. Yet it’s possible to present such plays in educational ways. Since rehearsals began, Newton North noted in a memo, the cast and crew held discussions and workshops about the stereotypes present. Directors worked with the school’s Office of Human Rights and Asian Culture Club to better understand community concerns and to help students recognize wider themes of racism in American media and society. The play’s program included a note explaining as much. All these efforts suggest that Newton North worked hard to stage “Thoroughly Modern Millie” in a sensitive manner. Putting plays in historic context won’t entirely prevent hurt feelings; in the canon of musical theater, some groups are more likely than others to be portrayed in cartoonish ways. Still, give students some credit. High schoolers are mature enough to understand difficult themes, and audiences should be able to recognize a distinction between indifference toward racism and a production that goes out of its way to identify backward attitudes and uses them to educate students. “Millie” has raised concerns at other schools. The Dalton School, a private school in Manhattan, performed a sanitized version with the playwright’s permission after initially deciding to cancel the show, the New York Times reported in January. Brookline High School performed its own revised version last month. “I felt strongly the script was disrespectful,” said the Brookline director, Christien Polos. He and students rewrote the part of Mrs. Meers to change her from Chinese to Southern American and turned the two Chinese laundrymen into undercover police officers. “We thought it was important to bring it in line with 21st century thinking,” he said. Yes but that’s part of the plot. And as I think has been made clear, is not something we had the power to change. When you put on a show the script is kinda set in stone… I get that that character is offensive but saying we used yellow face isn’t really true. We honored the script. I go to NNHS right now. (I wasn’t a part of this show). I think it’s important to understand that this how was written for 1960s hollywood, and then adapted for the stage in the 2000s. The songs and the music are outstanding and the plot hilarious and has many twists and turns. I bet that’s why this show was chosen. It happens to have some very racist material in it yes, but no one is saying that’s okay. No one at north is saying that we can now be mean or racist to asians at our school. NNHS instead put on a great show full of talented actors who are heart broken and distressed to have hurt people. I think that next time if you have an issue about the show you should say something earlier on. 3 days before the show on a blog doesn’t give anyone time to do anything about your complaints. I go to NNHS and I can tell you right now no one is trying to cause anyone any pain or discrimination. Pragmatic Mom, I’m going to start by saying that yellowface is never used in this production. The closest the show comes to using yellowface is the sterotypically Asian lipstick design worn by Ms. Meers. I personally know every actor and actress in this production and not one of them would allow that to happen. Now to address the article, you often say that things could be easily changed. That is incorrect. When putting on a production certain rules must be followed. For example, the inability to change lines and plot points freely. The rights for a production must be acquired before putting it on and the rights do not allow the script or plot to be changed to fit certain requests. I understand that the racism in this show is wrong and I believe that everyone in the Newton community does. I don’t think that there is a single person who would deny the racism in this show and if there is I certainly haven’t met them. That being said, why not change it if there is racism? For the reason I mentioned before, the musical cannot simply be changed. Thanks for reading and I hope that to some extent this relieves your rage at the Newton community that allowed this production and, if anything, direct it at the playwright or company producing it. May I suggest that you concentrate your commentary on teenage pregnancy, drug abuse and suicide: instead of your perceptions of Asian racism. Perhaps some thought about priorities and what really is important to our children, would help you reconsider your current unnecessary opinions. If the “concerned parents” want to make sure this doesn’t happen again, they should voice their complaints before these kids spend months putting a show together rather than heavily criticizing their plays the week of the show and destroying their self esteems. NNHS did How to Succeed in Business Without Really Trying (a show that I was in) and I didn’t hear anyone complaining about how sexist that show was.